I read about this island in a book I was reading by Clive Cussler, the book was Spartan Gold. If you like a great book filled with face paced adventure, make sure to check out the link on the bottom of this page. But to the topic at hand, Rum Cay! In the fictional book a daring couple landed on Rum Cay looking for a hidden ship. But Rum Cay is real! 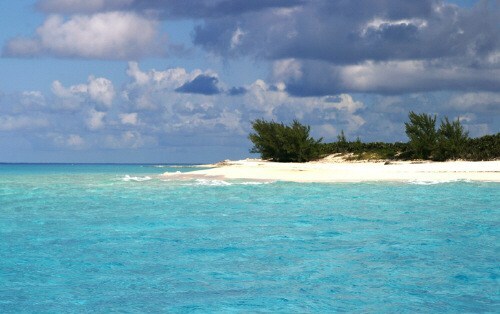 It's a 30 square mile island located in the chain of islands, The Bahamas. The island is believed to have acquired its modern name from a shipwrecked cargo of rum. The main settlement on the island is Port Nelson. It's a barley populated island consisting of just 93 people back in 2005. There are a few former settlements such as Port Boyd, Black Rock and Gin Hill bur are now deserted and overgrown. 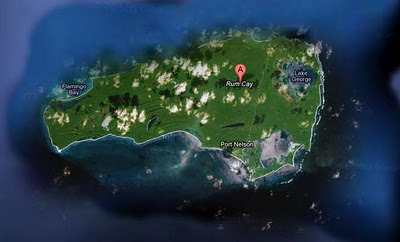 Besides having a cool name and just 3 people per square mile, Rum Cay is an island filled with reported hidden pirate caves! That's right, pirates used to frequent this island and it's deep reefs and drop-offs that surround it. At the Grand Canyon, 60-foot coral walls almost reach the surface! A little more on the pirate history: Pirates roamed these parts for many years with evidence of a sword even being found off of Sumner Point Marina. The spirit of the energy of that sword passed through those hands and continues to roam throughout Rum Cay to this day! Whisperings of Black Gold off Sumner Point still float around the island. The pirates were finally driven out of the Bahamas after Captain Woodes Rogers was appointed Royal Governor in 1718. 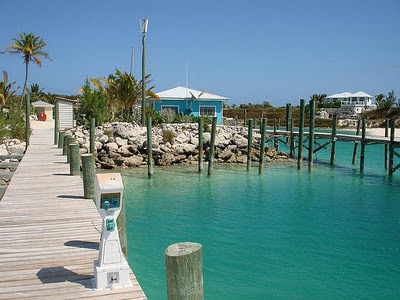 If you want to escape to Rum Cay for an isolated vacation here's how you do it. You'll either need to fly in or arrive by a boat. 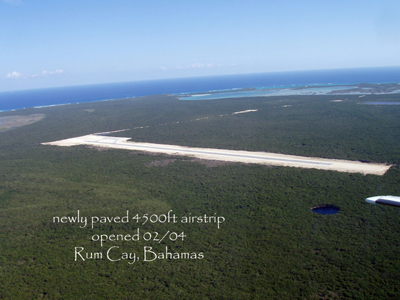 Most people fly in using Rum Cay's 4,500 airstrip that opened up in 2004. See it HERE. If you're in South Florida you can fly using Air Charter Bahamas but it'll cost you about $4,200 for a 1-way flight. A cheaper method is to fly out of Nassau for around $120 per person 1-way. But you'll have to get yourself to Nassau first. This is done with Cat Island Air and they can be reached at 242-377-3318. One you arrive you can book a 1 bedroom villa from $125 per night from www.rumcaymarina.com. Think about it, if you and your loved one arrive in Rum Cay you'll take the population from 93 to 95 just like that. They have a few little markets and restaurants you can feed yourself at then the island is yours to explore. Diving, exploring old pirate caves, chilling on the beach or fishing. It's island living at it's basics.